The Arie Crown Theater has five main seating sections and six Main Floor Aisles. Facing the stage, Aisles 1 & 2 are to the left, Aisles 3 & 4 are in the center, and Aisles 5 & 6 are to the right. The seating locations are designated by section and seat number. All 100 seats are in Section 1; all 200 seats are in Section 2, and so on. The rows are designated by letter A to Z and AA to LL. The center cross aisle is located between Rows P and Q. The balcony sections are the same as the Main Floor. 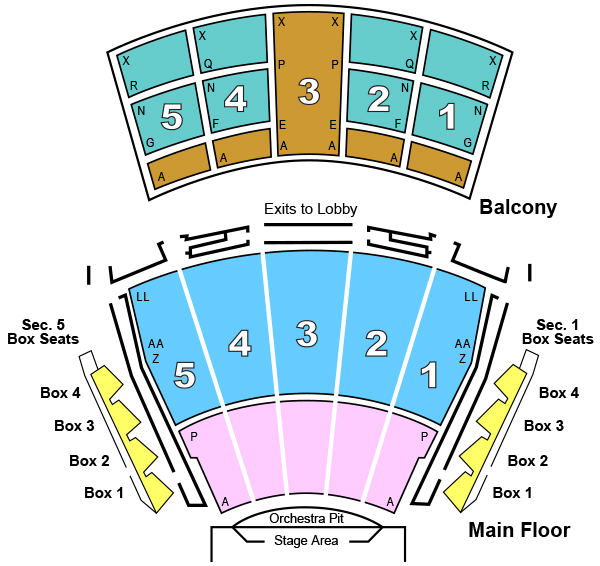 Guests with Balcony seats in Aisles 1 – 3 should take the right balcony entrance and those with Aisles 4 – 6 should take the left balcony entrance. For a more detailed diagram, download a .pdf file our seating chart.